Grocery shopping is the most budget-friendly way to eat. Preparing food at home is much more cost-efficient than eating out, using a meal-prep service, or ordering in. Yet, buying groceries, especially healthy ones, can still get expensive when you’re on a tight budget. Try using these tricks to save a little extra money when you go grocery shopping. Coupons are the budget grocery shopper’s best friend. Yes, it can take a little time to cut coupons out of the newspaper or find and print them online, but a little savings here and there really adds up at the store. Some grocery stores will even send reward program members coupons for the things they buy the most. Couponing is one of the oldest methods of saving on groceries, and though it may not be trendy, it’ll save money that you can put into a savings account or toward another financial goal. 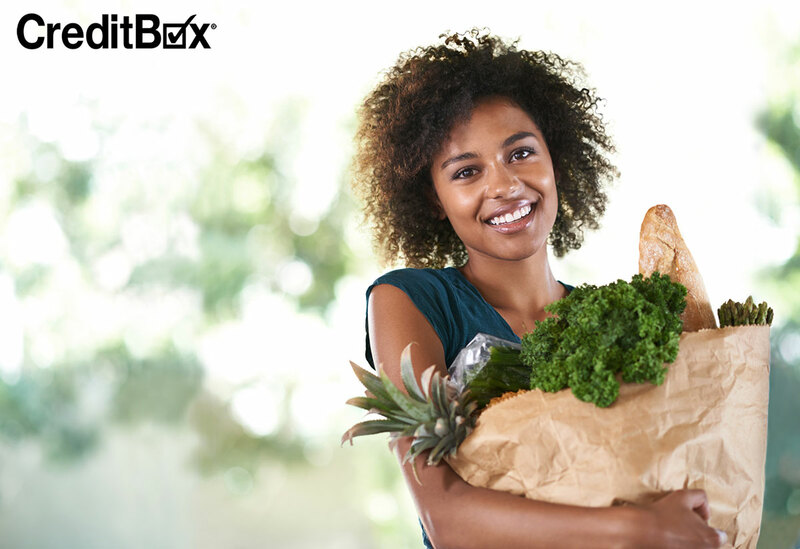 Apps like Ibotta, Cartwheel, and Shopkick make the couponing and rebate experience a little easier at the grocery store. Ibotta is an easy to use app that lets you scan bar codes of items you’ve purchased to get part of the cost back. The app offers money back on staple items like milk, so you don’t have to worry about hunting down obscure groceries just to collect savings. Cartwheel is an app from Target that can save you up to 50% when you shop at the store. In-app offers can be combined with retail coupons and rebates for major savings on everything, including groceries. This is a great way to save money on expensive necessities like paper plates, toothpaste, and bath tissue that are often sold at a premium. Shopkick is a mobile app that lets you earn “kicks,” or points, for easy tasks like walking into a store or scanning the bar code on an item. These kicks can then be redeemed for gift cards for popular stores. Gift cards are like free money, so shopping with them is like getting your groceries for nothing. When you shop at the farmer’s market, you eliminate the middle man and actually pay less for organic produce than you would at the grocery store. Plus, your money is going straight back into the local economy and you’re serving preservative-free food to your family. Saving money never tasted so good! When you’re buying things like medicine, deodorant, and milk, you can save money without sacrificing quality buy buying store brand instead of name brand. Many items have the same exact ingredients, but cost more because they come from major corporations that have spent a lot of time and money building brand trust with their consumers. Don’t skip brands on everything; Some things are worth the money. Do spend a little time reading the labels to see if your extra cash is worth it. Most grocery stores have a small, usually hidden away clearance section where groceries go at the end of their guaranteed shelf life. Many of these grocery items are approaching their expiration date. Sometimes you can find fresh fruit that’s just been a little bruised up or boxed items that were smashed in shipping. Either way, these items are perfectly good, and come at a lower price because their visual appeal has been damaged. Swing by this section when you visit the grocery store to see if you can snag any deals. Sometimes, saving a little money on groceries still isn’t enough to fill your cash needs. When that’s the case, don’t hesitate to turn to CreditBox. We can get you a loan up to $4,000, fast. Apply online today.